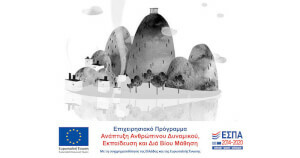 Τhe meeting ANIMATION & ENVIRONMENT is implemented through the Operational Program "Human Resources Development, Education and Lifelong Learning" and is co-financed by the European Union (European Social Fund) and Greek national funds. Its co-funded projects deal mostly with the improvement of education and employment in Greece. Its main targets relate to the development and promotion of human resources skills, activities against unemployment, strengthen social cohesion and social inclusion of vulnerable social groups, improvement of the quality of education & lifelong learning, awareness on environmental education, linking education with the labor market. The entrance to the meeting and the tribute is free to the public and accessible to the people with disabilities. Τhe program ANIMATION & ENVIRONMENT is implemented through the Operational Program "Human Resources Development, Education and Lifelong Learning" and is co-financed by the European Union (European Social Fund) and Greek national funds. 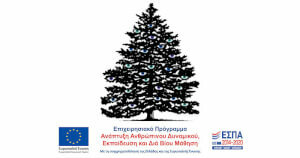 Its co-funded projects deal mostly with the improvement of education and employment in Greece. Its main targets relate to the development and promotion of human resources skills, activities against unemployment, strengthen social cohesion and social inclusion of vulnerable social groups, improvement of the quality of education & lifelong learning, awareness on environmental education, linking education with the labor market. 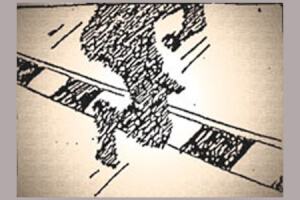 Tribute to experimental cinema of Michalis Arfaras.